What was the date that the company posted their audited year-end financial statements on the Sedar.com website. Company plans to rapidly expand its presence across Canada; Leon’s recently opened six new superstores across Canada. Company is set to buy back its shares, in order to provide liquidity to its shareholders also to buy back the capital at a cheaper rate. It will help in increasing the return on capital employed for the company. Leon’s focuses on corporate social responsibility and is making efforts to enhance its public image. Company recently started collecting furniture for family in need. 1. Leon's opens six new Superstores across Canada. 2. TSX Approval of Leon's Repurchase Programme for Common Shares. 3. Leon's Furniture opens Regina store. Yes, the company paid $0.32 per share to common share holders and $0.18 per share to convertible shareholders. The Company's inventory amount encompasses one category, which are goods purchased and held for resale in the ordinary course of business. Inventory is valued at the lower of cost, determined on a first-in, first-out basis and net realizable value. The consolidated financial statements include the accounts of the Company and its subsidiaries, Murlee Holdings Limited, Leon Holdings (1967) Limited and Ablan Insurance Corporation, all of which are wholly owned. 15. What are accrued liabilities? Does the company report any accrued liabilities? If yes, how much and what type(s)? 16. Is the company’s Balance Sheet a Classified Balance Sheet, how do you know? Yes, the company’s Balance Sheet is a Classified Balance Sheet. 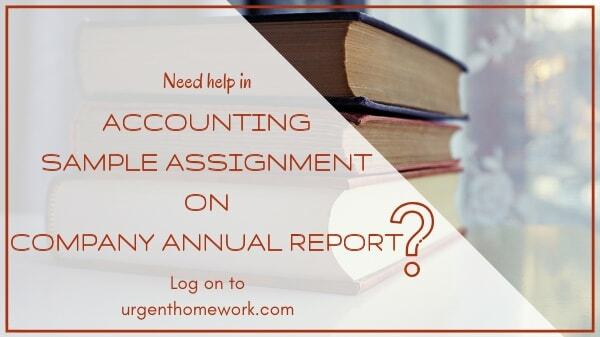 It is written in notes 15 that, the comparative consolidated financial statements have been reclassified from statements previously presented to conform to the presentation of the 2010 consolidated financial statements. The cost to complete all construction-in-progress. The Company is obligated under operating leases for future minimum annual rental payments for certain land and buildings. The Company has issued approximately $2,400,000 in letters of credit primarily with respect to buildings under construction which were completed during the year. Pursuant to a reinsurance agreement relating to the extended warranty sales, the Company has pledged marketable securities and provided a letter of credit for the benefit of the insurance company. The Company’s allowance for doubtful accounts was $470,000 as at December 31, 2010 [2009 - $300,000]. 24. Who are the auditors of this company (page __)? Are the auditors part of this company’s management and do the auditors dictate which accounting policies this company choses (explain)? Auditor of this company is Ernst & young. The auditors are not the part of this company’s management and the auditors do not dictate which accounting policies this company chooses. 25. How much Cash has been generated (or used) from (each) Operating, Investing and Financing Activities? The company is buying back its shares and reducing the equity stock.